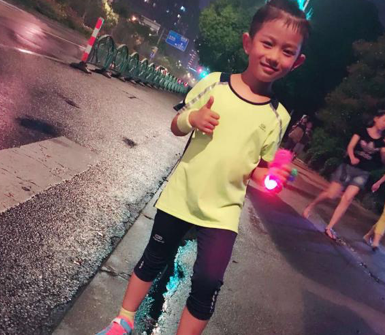 Jianming Liu is a nine-year-old boy from Shanghai who loves sports and doing what he can to better his community. He takes part in a range of sporting activities, such as running, hiking and little iron man. In addition to his sporting ability, Jianming has been involved in a number of volunteer initiatives, such as taking care of and playing with autistic children, raising money for charity and contributing to charity exhibitions. Jianming recently heard about #RunningDry and has since been inspired to learn more about invisible water and conserves water wherever possible. Jianming is one of our #100WaterHeroes for passionately serving his community and doing whatever he can to make sure every drop counts!